PEARLAND, TX (KTRK) -- A suspect accused in three Pearland bank robberies is finally behind bars. 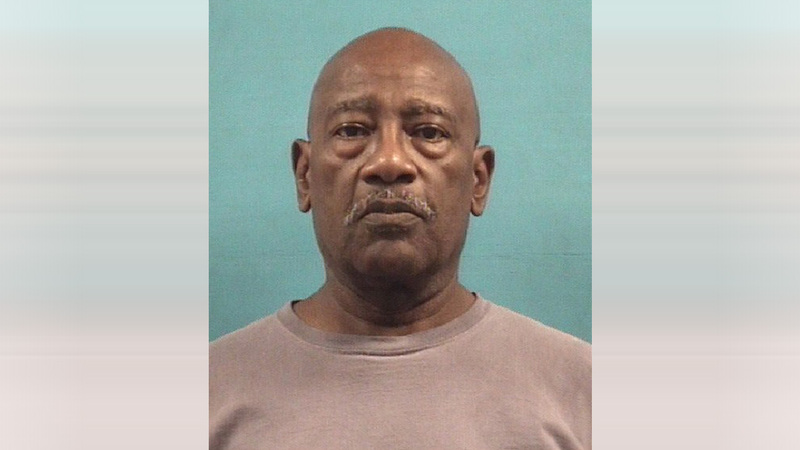 Curley Junior Larks, 66, was arrested Thursday night after someone tipped off authorities about his alleged involvement in the heists. Police Larks robbed the Frost Bank in the 11200 block of Broadway Street twice -- once on December 16, 2014 and again last October. He's also accused of robbing a Prosperity Bank just down the road on May 19. In all three cases, police say the suspect was armed and therefore, he's charged with three counts of aggravated robbery with a deadly weapon.